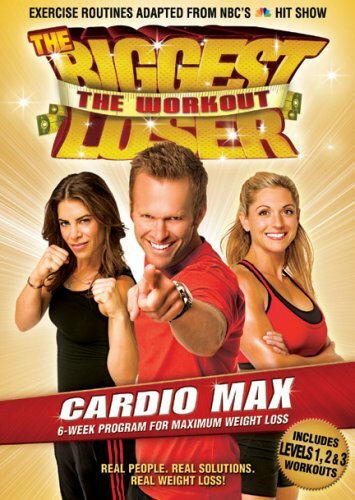 Posted on Thursday, January 5, 2012, by Eric - TV Geek Army "Revered Leader"
Quick Take: The Biggest Loser 13, "Week 1"
Review: The Biggest Loser 13, "Week 1"
(S1301) I've written in the past that The Biggest Loser is a deeply weird TV show. My current feeling is that it's weird because it's kind of exploitive and kind of inspiring at the same time (not unlike shows like Teen Mom, come to think about it). But, really, the old cliché holds that if this can get a few people to get off the proverbial couch to take care of their health and drop a few pounds, it's putting a net positive into the world. In that spirit, I'm going to cover this season's thirteenth edition as often as I can. Like many people, I'm hitting the new year after an indulgent holiday season with the notion of getting into better shape ("I'm serious this time, I swear! "), so what better way to get me in the mode to get medieval on myself than to watch a show about severely overweight people doing just that? The big twist this season is that though it is a couples edition, the tandems are broken up early on to become part of teams led by trainers Bob and Dolvett. And in another slight breakaway from recent seasons, this is one in which don't have "the heaviest contestants ever." Beyond that, we're now familiar with the back stories of many of the contestants: the former athlete, the couples with a brood of kids, and those who simply gave up themselves over time or chose food as a way to cope with problems and life. The theme of "no excuses" was brought in early and often, and to underscore the point there was an elimination challenge before the contestants even entered the palatial gate in front of The Biggest Loser ranch. A few Survivor-style set of races and puzzles later, Adrian and Daffney were sent walking. However, as in recent seasons they will have an opportunity to make it back onto the show later on… if they can collectively lose 50 pounds in a month. Fast forward to first week workouts, puking, and so on. The editing tried to drum up some drama around what would happen at the weigh in, with the idea being that Dolvett is seeking "redemption" for his team often losing to the veteran Bob's squads in the past. Dolvett's red team indeed did earn a solid victory, thanks to Buddy coming in at the end and dropping 22 pounds, the most of anyone (and while that number is eye popping, that shows you how this group is relatively slimmer than past seasons, where a 22 was middling for first week weight drops). For the black team's elimination vote, Ben, who a healthy amount of weight at 15 pounds, asked to be sent home as he missed his family, and it was granted. I wouldn't be surprised if Bob takes issue with Ben's attitude next week. Certainly I can imagine Jillian getting riled up about anyone volunteering to bail after just one week on the ranch. More on weirdness: Pushing the unhealthy contestants to the point of needing medical treatment during the first workout seems just… wrong. After a full hour of hearing over and over that indeed there are "no excuses," Bob ironically tells Roy, the 62-year-old Santa lookalike, to be "smart" so that he can stay in the house a long time. Interestingly, I didn't hear any talk of nutrition during this episode, I believe? I like Dolvett's attitude: "Do not put your hands on my treadmills!"